The Legislature of the State of Wyoming enacted the Wyoming Public Records Act (W.S. §16-4-201 through 16-4-205) in order to provide the public with access to public records, books, and files of state governmental agencies (subject to exceptions). The Public Records Act defines "public records" as "the original and copies of any paper, correspondence, form, book, photograph, photostat, film, microfilm, sound recording, map drawing or other document, regardless of physical form or characteristics that have been made by the state of Wyoming and any counties, municipalities and political subdivisions thereof and by any agencies of the state, counties, municipalities and political subdivisions thereof, or received by them in connection with the transaction of public business, except those privileged or confidential by law." The law does not require the University to create or compile a record which does not exist at the time of the request. The purpose of the Act is to promote disclosure and not secrecy in the workings of government. 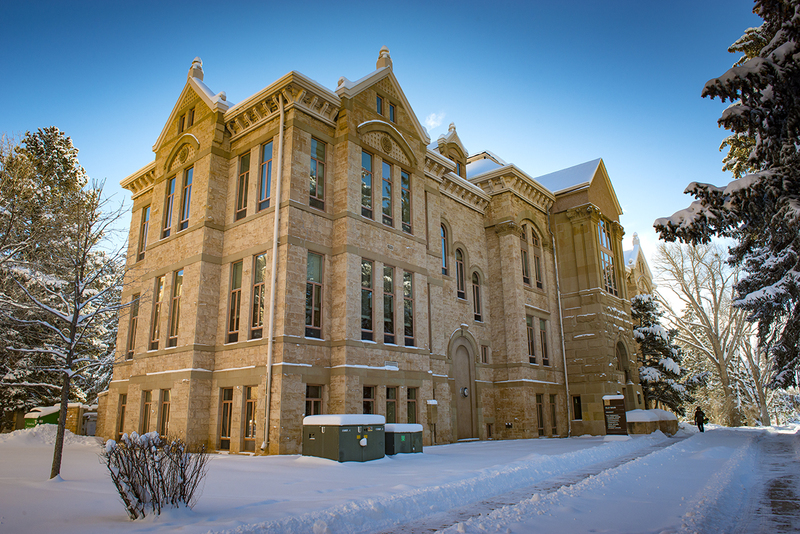 The University of Wyoming is subject to the Wyoming Public Records Act and will fully comply with all the provisions and requirements of the Act. The following document outlines the procedures for requesting public records, including when a fee may be charged related to a public records request. 1. Athletic agreements: Contact the Athletics Director of Compliance at pprigge@uwyo.edu or (307) 766-3795. 2. Media: Contact the Director of Institutional Communications at cbaldwin@uwyo.edu or (307) 766-2929. 3. Police reports: Contact UWPD at: http://www.uwyo.edu/uwpd/records/ . 4. Student directory information: Contact the Office of the Registrar at registrar@uwyo.edu or (307) 766-5272. 5. General records requests: Contact the Office of General Counsel at tevans15@uwyo.edu or (307) 766-4019. B. Notification that the request has been received. The University will notify the requestor within three (3) business days that it has received the request, unless good cause exists preventing a response within that time frame. C. Time period for the University to respond. Pursuant to the Wyoming Public Records Act, the University will respond to requests within a reasonable time. Please be aware that broad requests and requests that span more than one (1) year may require a significant amount of staff time to review. D. Denial of requests or withholding of records. The University Office of General Counsel reviews all records requests. Part of this review includes determining whether any legal grounds for exemption or withholding of records apply. If a request is denied, in whole or in part, the University will include in its written response the reason or reasons for the denial under the Wyoming Public Records Act. 1. $15.50/hour for clerical staff time. 2. $30.00/hour for information technology staff time. 3. $40.00/hour for professional staff time. 4. Actual cost of programming and computer services. *Note: The requestor will be charged only if the amount of the reasonable production and construction costs exceeds $180.00, and the requestor will be charged only for the amount above $180.00. Prior to processing the public records request, the Office of General Counsel will determine whether the estimated time to be spent reviewing and responding to the request will cause the reasonable production and construction costs to exceed $180.00. If so, the requestor will receive an invoice with the estimated reasonable production and construction costs of the request. Payment must be received before the request will be processed. If the request takes less time than estimated, the requestor will receive a refund for the amount of money that was unused. If the request takes more time than estimated, the requestor will receive the responsive records to that point, and another invoice with the estimated cost for the completion of the request. Payment must be received before the Office of General Counsel will continue processing the request. Requestors will not be allowed to avoid the charge by using multiple records requests. University Fee Book: http://www.uwyo.edu/administration/feebook/ . If you have any questions related to this policy, contact the University Office of General Counsel at (307) 766-4997.